For those new to Noise Problems is a net-label dedicated to electric and amplified music of all sorts. Many of our releases come straight from actual gig recordings and so we like to think of it also as a collection of live shows. All awesome bands are exclusively recorded by Noise Problems for all free music lovers out there and our first compilation is up. 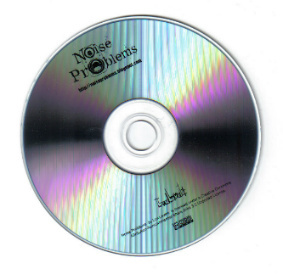 For the occasion of the 50th release by Noise Problems a compilation was issued to commemorate. Now its 23 tracks are available in 6 volumes for download here at the FMA. Great tracks selected from amongst the first 50 Noise Problems releases. Check out the Selections. All shows recorded live between 2007 and 2010 at various Amsterdam venues except for Tzaatzuim recorded in the studio and Tchakare Kanyembe recorded at the Boom Festival.